…with drawings of cats doing fun things on a boardwalk on Saturday (as cats are wont to do). Note: There’s a kitty in a green bikini ordering a hot dog!!! Seriously, I need everything, but I especially need the backpack. Should I go with the large or the medium? I just need something to hold my wallet, all of Connor’s kid things (which now includes a pink fold-up potty training seat –> who knew these things existed? ), and all 14 of the lipstick tubes I have on me at any given moment. Thanks to my buddy Suzanne for the heads up! 2. 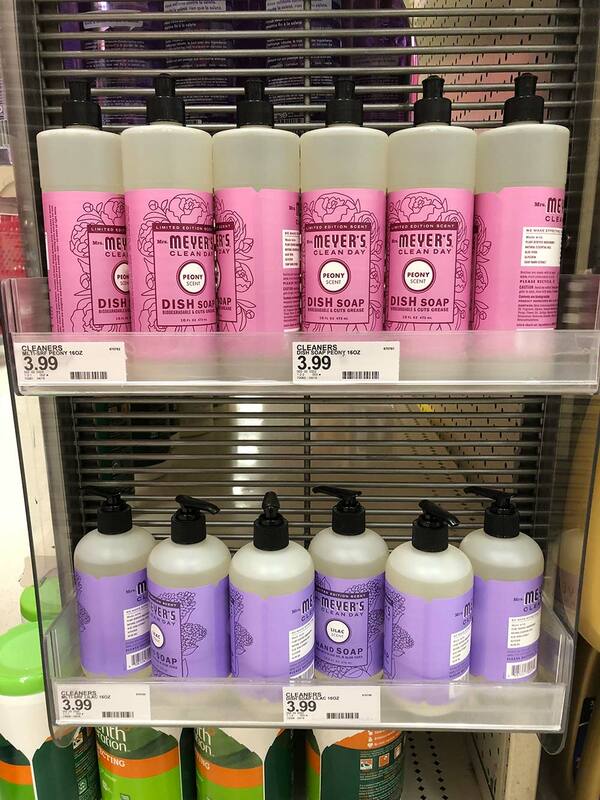 There’s a Mrs. Meyer’s Peony Dish Soap, and a Lilac Hand Soap, at Target right meow. I think they’re both LE for summer? Anyway, they smell really good. I bought both, and I kinda wish I’d gotten backups, too. Fun fact: pink and purple are two of my favorite colors. 3. 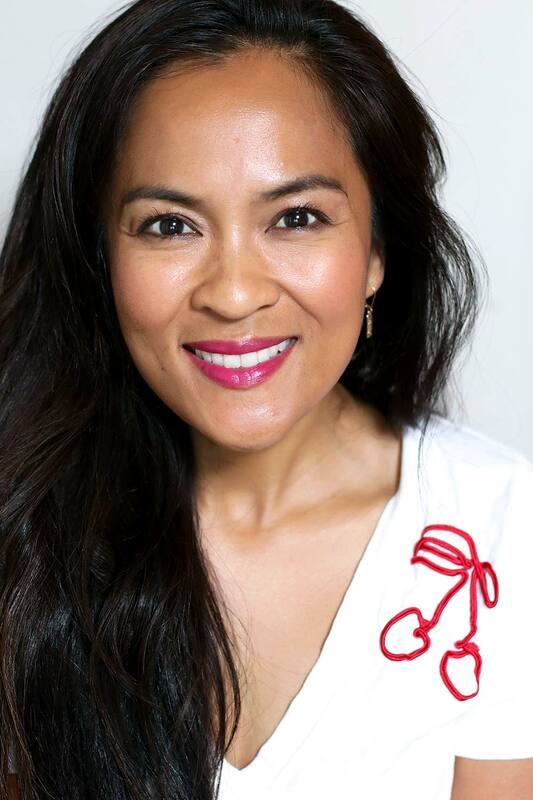 You’ve gotta check out MAC Lickable Lipstick. It’s a bluish pink Cremesheen frpm the permanent line, and it’s rocking my world right now. It’s moisturizing, pigmented and decently long-wearing (I get about four hours, give or take, and that’s including snacks and drinks). It looks fab with taupes and cool-toned browns on the eyes. I’m wearing it today with Chanel Mat Taupe liner and the Charlotte Tilbury Bigger Brighter Eyes quad.